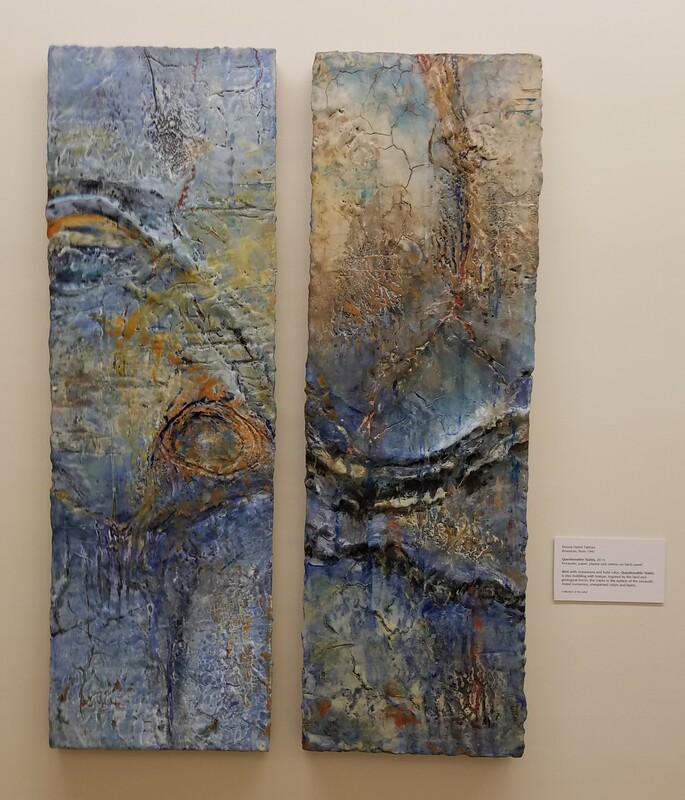 Debra Claffey, Patricia Gerkin, Donna Hamil Talman and Charyl Weissbach have their work on exhibit at the Michele and Donald D’Amour Museum of Fine Arts in Springfield, Massachusetts from July 17, 2018 to July 14, 2019. This exhibit is the artist’s collective interpretation of the relationship between humans and the natural world. All living things offer an interconnectedness; therefore, we must reclaim the balance of the earth’s ecosystems. Encaustic paint is one of the links in this show as each artist uses their own unique voice to share her perspective of this topic. Encaustic paint is also incredibly diverse as is evident with the different effects of each piece. Debra Claffey is intrigued by biological intelligence and the beauty of plant systems. The paintings are distinguished by layered drawing and mark making. Patricia Gerkin is interested in topography and the forces that shape evolution. 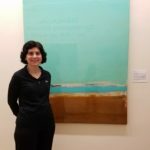 Exploring regional beaches, Gerkin incorporates found objects into her work. Donna Hamil Talman appreciates the effects of the passage of time on the human body, mind and earth’s geology. She creates geographical pieces with creases and crevices. Charyl Weissbach explores the vastness and expanse of nature and creates flat reflective surfaces. She presents her work to raise consciousness for the preservation of the earth. Each artist creates their pieces with emotion and sensitivity in luminous layers. 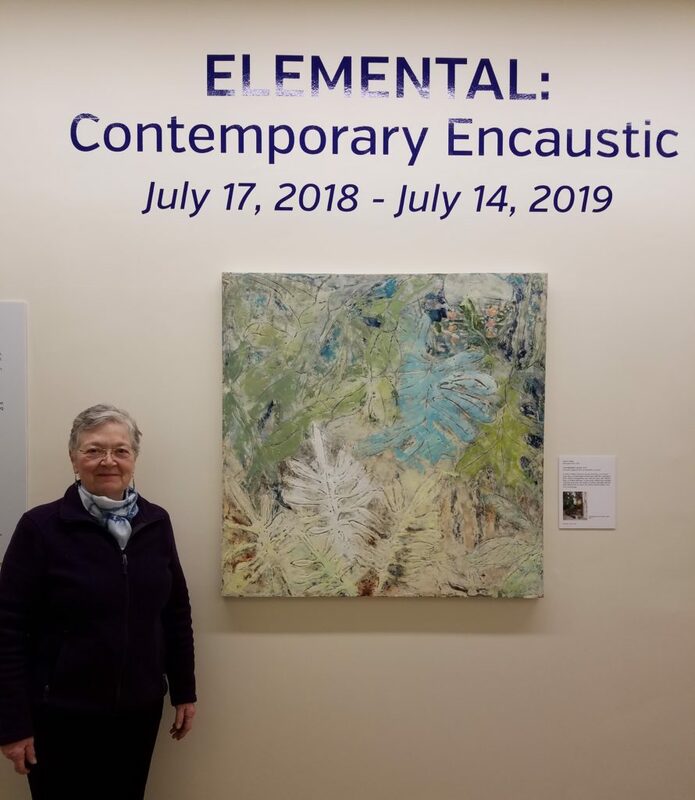 Because of the complexity of using encaustic, the time-consuming nature turns into a form of meditation as part of the process. Each painting is an invocation, an appeal, or a prayer for our earth. The show speaks to both nature and human nature. Nice article about a great show! Yay! Great blog! Thanks for all the support! It’s a beautiful exhibit, well worth seeing, and this succinct article is a great companion piece. Loved this show! The curator assembled a fabulous show! Wow – very impressed. Congrats! And I look forward to seeing the show in person! I was so impressed with the beauty and complexity of the work in this show! Thanks for writing the article Pam!